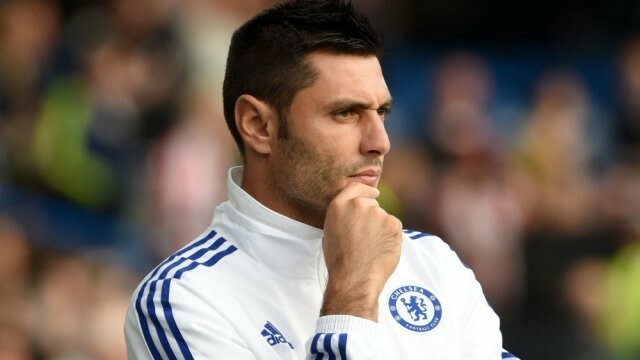 World Cup winner Marco Amelia joined Chelsea on a free transfer earlier this month and the former Italian international has confirmed his conversation with Jose Mourinho that paved the way for his transfer. Amelia was handed a contract by the Premier League champions after a long term injury to Thibaut Courtois. The Belgian picked up an unfortunate knee injury against Swansea earlier this season and was been ruled out for two months. The Belgian is set to return to action by the end of November and in the meantime Mourinho decided to sign the former AC Milan keeper as a backup to Asmir Begovic. Amelia revealed that he sent a text to the Chelsea staff regarding his availability and offered to help out if they need a keeper in the absence of Courtois. Mourinho responded to his gesture and asked him to train with Chelsea before they could offer him a contract. “I am a lucky man because after the injury to Thibaut Courtois, I sent a message to Jose Mourinho’s staff to ask if they need a goalkeeper. “And he (Mourinho) called me and said, ‘Marco, come here and train with us and then we will decide about you’. “Then the club called to give me a contract so now I am staying here and I am very happy”, he said. Begovic is a new signing at Chelsea this season and has been in good form since taking over from Courtois. Despite Amelia’s experience Mourinho will want to avoid anymore injuries on the goalkeeper front and will hope that Begovic can continue until Courtois is back.